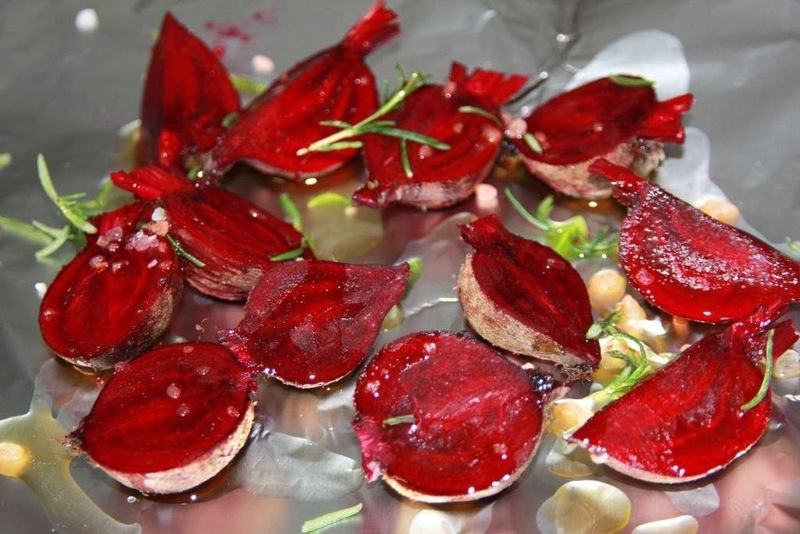 Baby beetroots, a drizzle of olive oil, fresh rosemary from my backyard, freshly ground pepper and kosher salt all wrapped in foil and roasted until tender. Top it while still warm with crumbled feta cheese, a few baby rocket leaves and some drops of a good balsamic vinegar. Serve it with warm crusty bread aside for a beautiful and delightful entree.